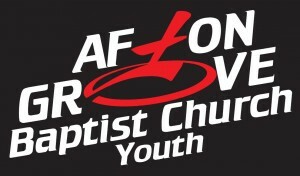 Afton Grove's youth ministry is the place to be if you are looking for a solid bible study delivered in a fun and exciting way. We are always looking for ways to build up our faith and reach out to those who may not know Jesus Christ. Our goal is to see that every student has the opportunity to accept Jesus Christ as their personal Lord and Savior and to follow Christ with their lives. Our Sunday School room is set for a discussion style setting with comfortable chairs, donuts, and drinks to really make you feel welcome and at home. Our Wednesday night bible study takes place in the Family Life Center and is geared towards delivering the Word of God in a way students can easily understand and apply to their daily walk with Christ. Our youth ministry offers various fun activities through out the year and a loving and nurturing environment for every student to grow. It is our desire to make each student a disciple maker for Christ.